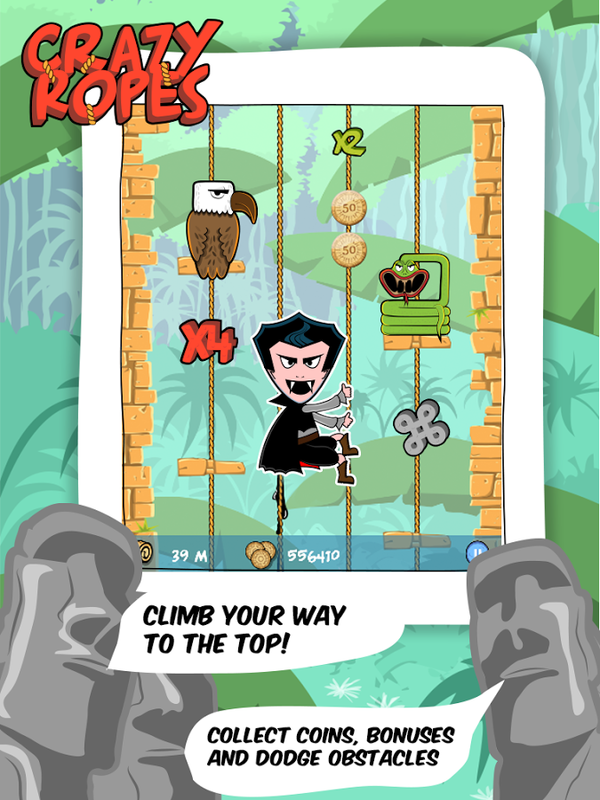 Crazy Heroes : The Ninja Ropes is an adventure game with the ropes climbing involved. Which you can download for mobile devices for free. LET THE MEGA ROPES CLIMBING ADVENTURE BEGIN! Cut out for great the ropes adventure , the temple adventure of your life! 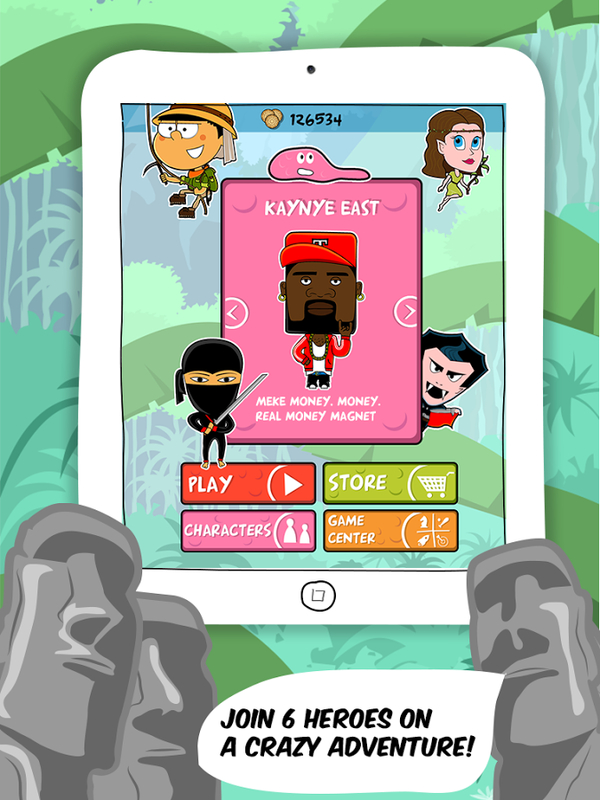 Winter is coming, its getting icy , warm up yourself with this Crazy Heroes : The Ninja Ropes app. * ORBI – chewed chewing gum, mega hero with each mega power ! Your goal is to climb as high as you can in the temple tower ! Jump between temple ropes , run through temple’s chambers to achive your goal! Watch out for sneaky birds trying to cut you of the ropes. Watch out or you will be on thin icy ice ! * giant stone heads and many more! Dashing into them means Game Over! * magnets – you don’t have to collect coins, coins will come to you! Will help you jump higher in the temple tower. 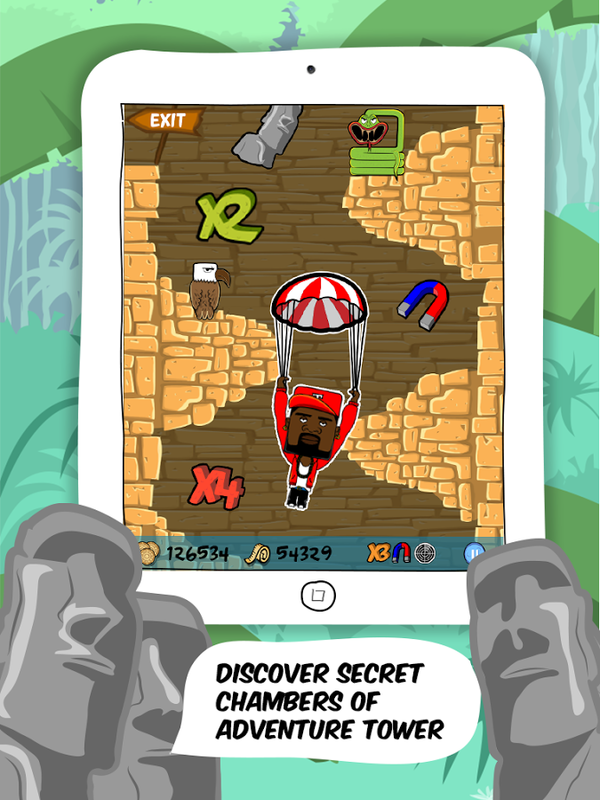 Crazy Heroes : The Ninja Ropes is a clear – cut that the ropes games can be entertaining & addictive 🙂 More features & worlds to come in updates! Stay tuned!